Here's a great chance to volunteer! 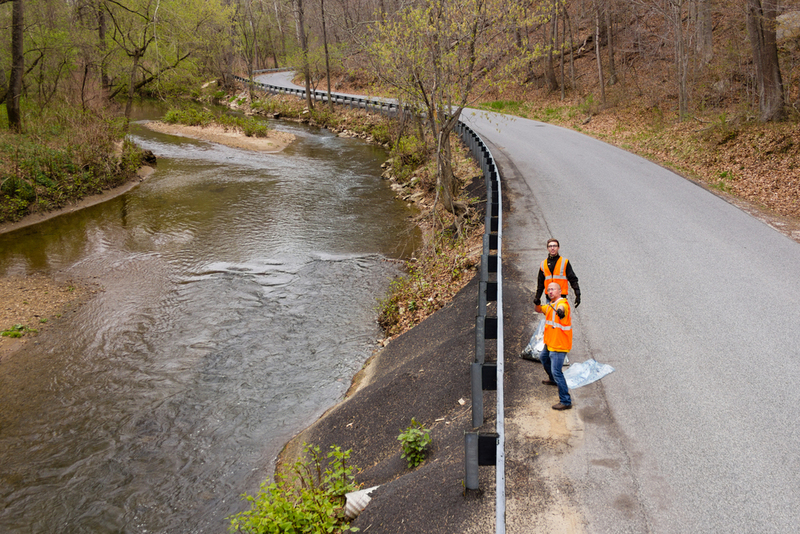 Maintain the appearance of one of the county’s most beautiful roads and decrease the amount of debris that washes into the Chesapeake Bay and its tributaries. Scheduled clean-up sessions will occur immediately after our Saturday morning gatherings or even on a Sunday morning when it works out. The sessions typically last 2 hours. Check back right here for announced dates. The county has provided us with 10 refuse ‘grabbers’, gloves, refuse bags and safety vests that will add efficiency and safety to the clean-up process. If there are more than 10 persons available for a selected weekend, the additional people can assist with notifying oncoming traffic of our group’s presence throughout the route. Your participation is highly encouraged and greatly appreciated! Thank you to all volunteers during the 3/3/18 session! The morning of November 12, 2016 was surely chilly but it didn't stop the volunteer crew. When we're armed with Ted's GPV Colonel, well, not much could stop us. Thank you to danwagnerphoto.com for the shot taken after our gathering and prior to departure for the session. The crew on September 17, 2016 had a volunteer chariot like no other in our history. Jared's Ravens bus was simply awesome. There was space for everyone and everything and there was the school bus nostalgia. Thank you to the team for making our adopted road look great again and for the great times. We weren't sure when the photos were being taken so here's 2. Squad! The session on Saturday, August 13, 2016 took place during a heat wave. We worked mostly in the shaded areas of Thornton Mill Road and surely increased the stock price of Gatorade. The theme music comes from Quentin Tarantino's "Reservoir Dogs" and it's inspired by the team walking side by side with work in hand. Team, thank you! Courtesy of HarrisonStills.com, here are a few action shots from Saturday, April 25, 2015's clean-up session. 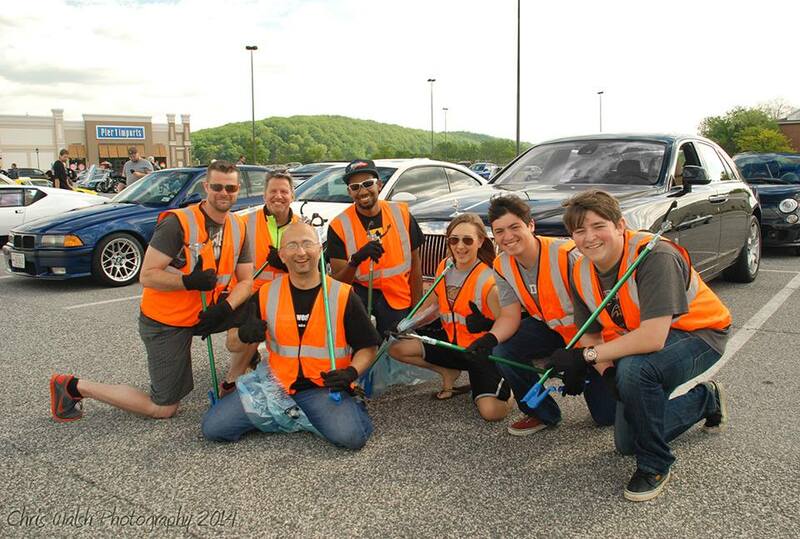 Here's our Adopt-A-Road crew from May 17, 2014! Check out the 2-minute video of our clean-up efforts on October 5, 2013!